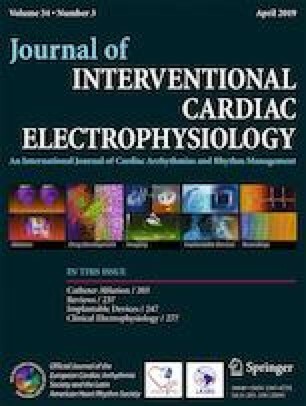 Patients who are post-implantation of cardiac rhythm management devices (CRMDs) are commonly instructed to restrict ipsilateral arm movement to reduce risk of lead dislodgement. This immobilization practice increases risk of shoulder-related pain leading to limited shoulder function. We aimed to assess effect of pendulum exercise on shoulder function in patients after CRMD implantation. This study was a prospective, randomized, open-blinded end point study conducted with 200 patients undergoing CRMD implantation. They were randomized into two groups, standard care (control) and pendulum exercise (experimental) groups. The shoulder function was assessed using QuickDASH-TH scores and measurement of the range of motion (ROM) of shoulder abduction and flexion before and 1 month after implantation. Baseline characteristics did not differ between the two groups. The lower incidence of shoulder ROM reduction after CRMD implantation was demonstrated in the pendulum exercise group compared to the control group in both flexion (16.8% vs. 40.4%, P < 0.001) and abduction (9.9% vs. 32.3%, P < 0.001). A lower disability of shoulder function after implantation assessed by QuickDASH-TH scores was also noted in the exercise group compared to control (15.2 ± 16.4 vs. 23.4 ± 18.1, P = 0.001). Two patients in the control group and one in the exercise group had atrial lead dislodgement on the day following the procedure. Early pendulum exercise with ipsilateral arm after CRMD implantation was safe and resulted in lower incidence of limited shoulder ROM and less disability of shoulder function compared to control group. The study was registered in clinicaltrials.in.th, and the identification number is TCTR20180612003. We would like to thank all staff in the Northern Cardiac Center and Division of Cardiology, Department of Internal Medicine, Faculty of Medicine, Chiang Mai University, for their cooperation in the study. This work was supported by grants from the Thailand Research Fund (MRG RSA5780039 (W.W), MRG RSA5780040 (A.P. )), and the Faculty of Medicine Endowment Fund for Medical Research (082/2560), Chiang Mai University, Thailand. All procedures performed in studies involving human participants were in accordance with the ethical standards of the Institutional Research Board of the Faculty of Medicine, Chiang Mai University (approval number 321/2559) and with 1964 Helsinki Declaration and its later amendments or comparable ethical standards. Informed consent was obtained from all individual participants included in the clinical study.